It’s not Thanksgiving without Sautéed Brussels Sprouts!! Are you guys getting as excited about Thanksgiving as me? It’s going to be the best day EVER!! So don’t mind me while I continue to post all my fav Thanksgiving recipes on a daily basis this week. We have a lot of ground to cover in the next few days and we need to be fully prepared! Sautéed Brussels Sprouts (with lemon and garlic) are probably one of my favorite green veggies ever. And especially this time of year. These have made an appearance at our Thanksgiving dinner for the last 7 years in a row and I’ll never forget the first time I served it at my grandparents house. The day before Thanksgiving I told everyone my menu – and my Uncle looked at me like I was nuts. Sautéed Brussels Sprouts?!? Whaaaaaaat. Who are you? I’m not eating that – is what he said. And I was like, “listen, I’m gonna need you to take a deep breath… and stop acting like you’re a 4 year old. Try them tomorrow and hold your horses.” And then, as predicted, the next day he had 3 servings. THREE SERVINGS PEOPLE!!! If that’s not proof that this is the best recipe than I don’t know what is! In a large skillet, heat the olive oil and butter over medium high heat. Once caramelized, add the red pepper flakes and garlic and sauté for 1 minute more. Remove from heat and stir in the lemon zest and lemon juice and season with salt and pepper. Serve as needed. I’m having a love affair with Brussels Sprouts this year. If there are garlic allergies, and there are, what would be a good alternative for that in the recipe? Skip it? Or replace it with? You have made us brussels converts!!! Can’t get enough of them!!! Sauteed sprouts are a weekly staple in my house this time of year. I am definitely trying the lemon garlic butter next time! Perfection, I want the whole tray!! It IS going to be the best day EVER (Tangled style if you’re a Disney fan)!!!!!!!!!!! This is a such a great, classic recipe. Love it! Pingback: Gaby’s Roasted Lemon Brussels Sprouts How You Glow | All things GLOW: positive vibrational energy that radiates from the inside out. | How You Glow | All things GLOW: positive vibrational energy that radiates from the inside out. these are so good! A regular in our kitchen & my favourite way to enjoy 🙂 thanks so much for sharing your recipe! How would these taste, made ahead of time and reheated? These are the most delicious Brussels Sprouts I have EVER tasted. Made them today as a side dish to a grilled chicken breast — BIG YUM!!! made these today but mine didn’t get that charred look or get crispy… not sure why they didn’t caramelize. Like the flavor profile, but got any thoughts on crisping it up? Seemed like there might not have been enough oil maybe? did you make sure your pan was super hot before adding them in? A bit more oil could help for sure too! I tried your recipe and it was absolutely delicious. My only question I have is there is no mention of “turnIng” the broccoli over. I did because it would.ve never become “fork tender”. I am going to make this tonight. Although I do not have any I am also thinking about using a couple of strips of bacon, cooking them up crumbling them up and also using the bacon grease for the oil. I have to agree! 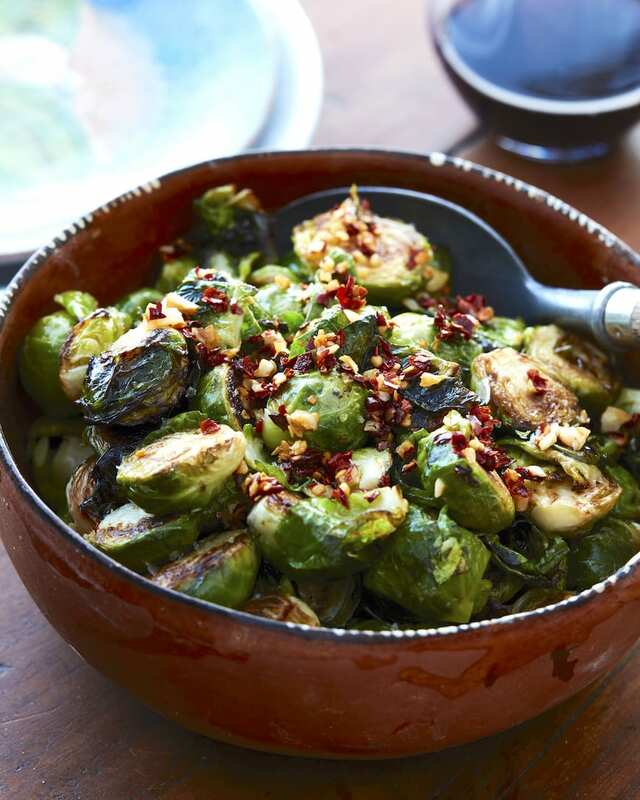 Brussels Sprouts are a great Thanksgiving side! These were great! I read the other reviews and kept the pan a good higher medium and used a bit more oil was perfect! Halfed the recipe for two! Thank you for sharing! clarified!! butter and olive oil up front! Hi! 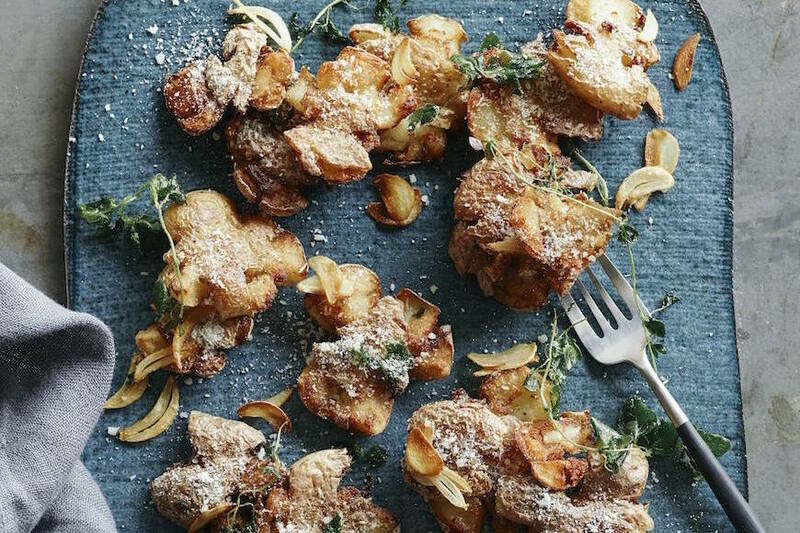 Any recipe for crispy Brussels Sprouts? Thank you! sure – but it will change the flavor profile! Gaby – These are amazing! I’m making them again tonight; that’s 3 nights in a row!! Thanks. 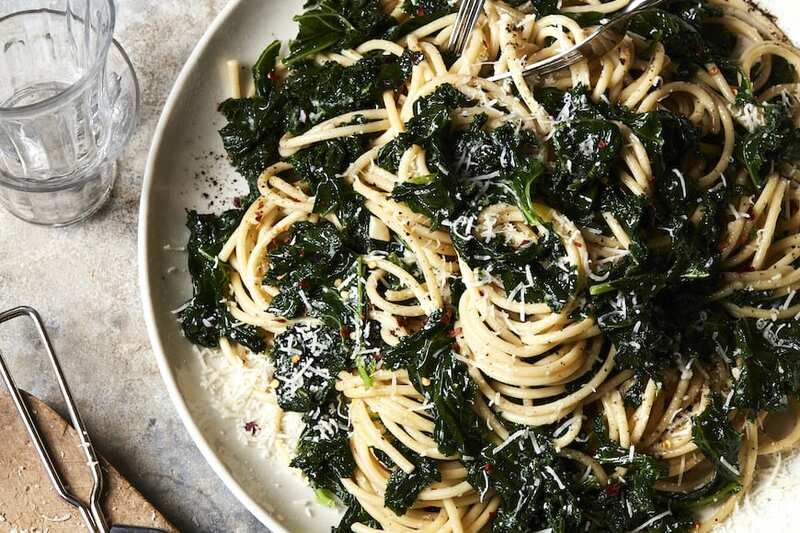 Can you add Parmesan at the end or will that not go well with the lemony flavor? I do it all the time – delish! Does it have to be unsalted butter? Made these tonight. Super lemony! But I used a large lemon and have a great zester; so there was a lot of zest. I also sautéed chicken breast chunks. I decided to put them together with the Brussel sprouts to take up some of the lemon flavor….delicious! I served it with spaghetti squash. I now have a new go to menu. I had fun making these, my husband really wanted some for dinner. They turned out great, except he opts to leave out the red pepper flakes next time. Thank you for this recipe. These were fantastic. I usually roast my Brussels sprouts with bacon but I was having Christmas guests who don’t eat pork. These had great reviews so I decided to try it. Absolutely delicious and a big hit. I forgot to add the red pepper at the end, but honestly we didn’t miss it. I can’t believe I’m writing this, but I think I liked it better than the bacon recipe. Fast, easy and sooooo tasty. 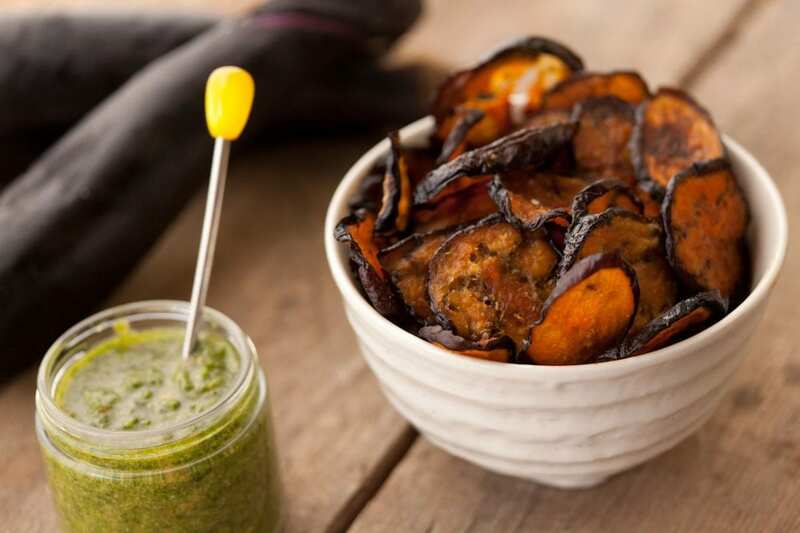 Great as a weeknight side dish but also good enough for company. Definitely adding this to my regular rotation. Thank you!! 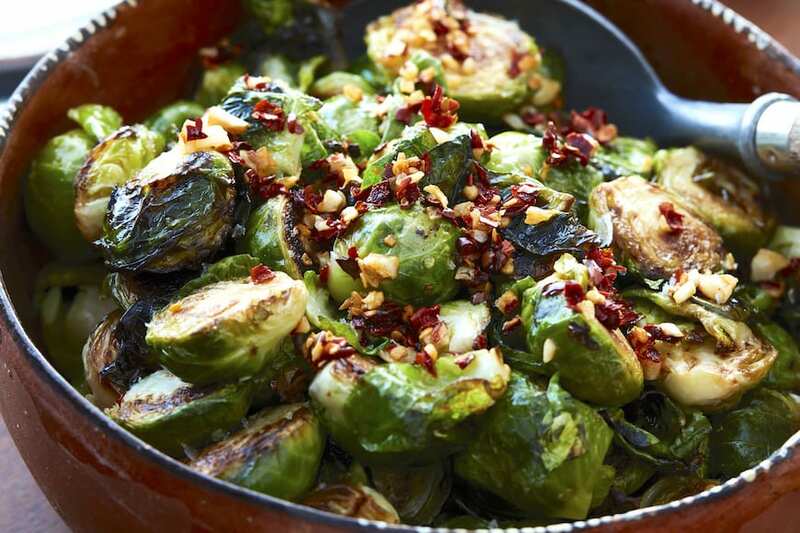 I have never made Brussel Sprouts everytime i tasted them i hated them .But wow this recipe blow my mind .I loved it and so did my family. My family is hooked on these Brussel Sprouts..best recipe I’ve tried this year.